Open to all, Affiliate membership is a non-professional level of membership. It's ideal if you need immediate access to IOWL resources to help you in your role, and can support your personal and professional development. Not yet in a leadership role, but apsiring towards one, or intending to apply for one. Seeking the latest Leadership resources to ensure you stay up to date with the fast-changing world of Leadership. Wanting to socialise, discuss and learn from an interested and supportive community of professionals. Practical podcasts, topic summaries, factsheets and guides, and more. IOWL Positive Value Leadership Map - assess your capability and access recommendations on what you need to know and do at every stage of your career. IOWL Leadership hub - an online gateway to information, tools and advice to help build key Leadership skills and enable you to make the most of career opportunities Plus, enhanced career services including mentoring and workshops. Online Community forum - Socialise, discuss and learn from an interested and supportive community of professionals. Take part in local IOWL branch activities. Find inspiration at IOWL conferences and events. Save money on leisure activities: gym membership, restaurants (up to 50% off meals), cinema tickets, holidays, travel and much more. If you choose 2 months membership, your membership fee is renewable on 1 June 2019 and then annually on 1 June. If you choose 14 months membership, your membership fee is renewable on 1 June 2020 and then annually on 1 June. Don't worry, we'll send you renewal information well before the due date to remind you how much is due. Annual payment will be collected until you advise us otherwise. Affiliate membership is available to you if you are not yet in a leadership position, but you are aspiring to attain a position of power*, authority or responsibility. The position could be one in a work environment, private or public sector; in social, voluntary or community circles; political or governmental spheres. Alternatively, affiliate membership is available if you are already in a leadership position but have not yet successfully completed the IOWL Positive Value Leadership assessment. 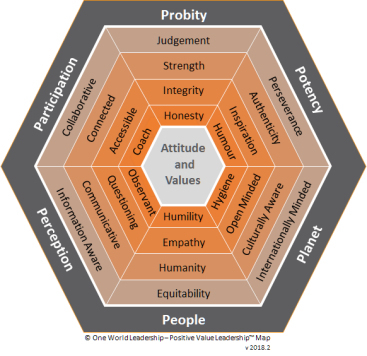 Affiliate members are expected within 3 years of joining, to undertake a successful assessment against the Positive Value Leadership map, which will indicate how effective you are as an exemplar to society and a catalyst for the adoption of positive change (commercial, economic, social or political) for the benefit of all humanity. Successful completion will enable your attainment of membership as a Professional Associate, Professional Member, or Professional Fellow. As an affiliate member you are required to subscribe to, abide by and adhere to, the aims of One World Leadership. You will also be expected to pursue a development path that will enable your proficiency to achieve a future assessment. If you are responsible for strategic leadership in your organisation, you will be eligible to become a member. If you don't quite fit the standard membership criteria you can still join as an Associate member. What's the difference between an associate and full member? The different grades of membership are based on your individual experience. If your company turnover, budget or length of time in business doesn't meet the full member criteria you can still join as an associate. You'll still receive all of the same benefits and when you're ready you can upgrade to full membership status. One World Leadership is the world's only premier, validated credential of true Leaders. Join us now to gain global recognition of your genuine Leadership Value.